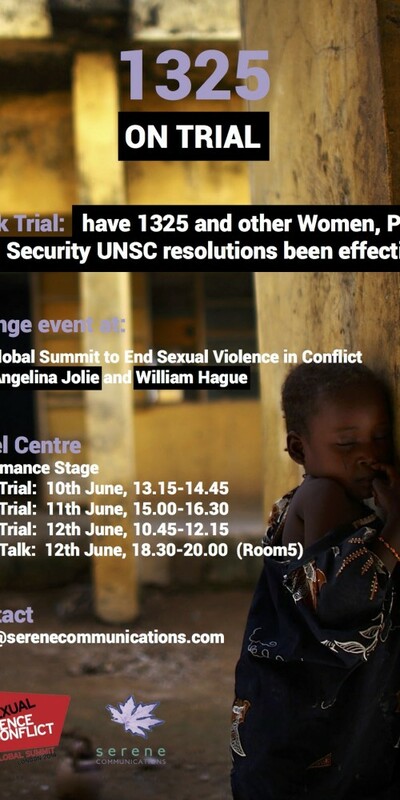 Between 10-12 June 2014, members of 9 Bedford Row International will appear in a mock trial concerning UN Security Council Resolution 1325 (Landmark resolution on Women, Peace and Security) at The Global Summit to End Sexual Violence in Conflict. The prosecution will be conducted by 9BRi members Jonathan Carroll, David Hammond and Marija Bračković. Steven Kay QC, Toby Cadman and Caroline Macpherson will act for the defence. Toby Cadman will also be speaking in a panel discussion on 12 June, 18.30-20.00. Please see the event poster for further information.